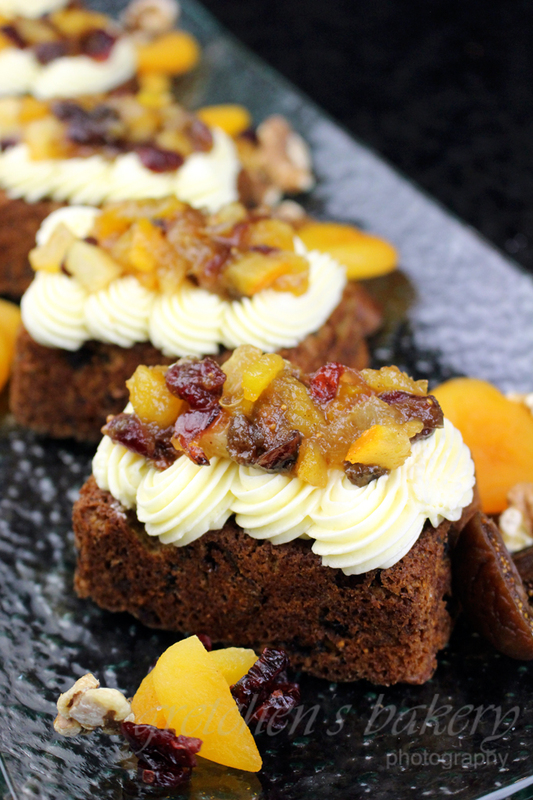 Throw away all your preconceived notions about fruitcake. 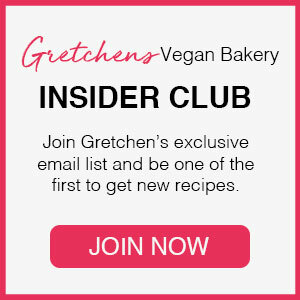 This Vegan Fruitcake recipe is going to change your mind! No green and red glaceed cherries here mate! 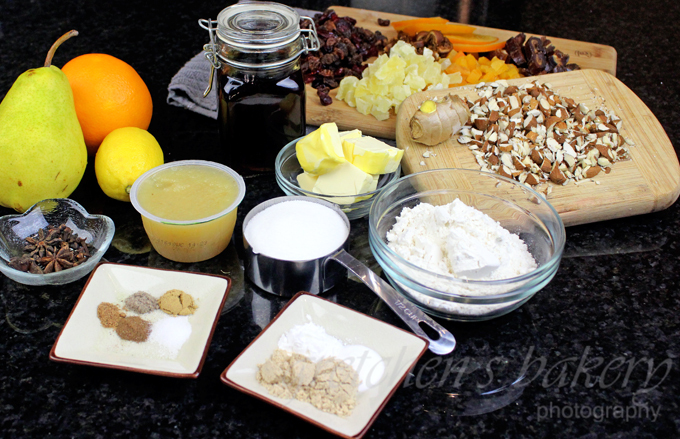 This Vegan Fruitcake recipe is loaded up with various dried fruits and nuts and spices galore! I have been making this recipe for almost a decade now, and it is always a winner. Mostly I change up the types of fruits I use each year depending on what sparks my fancy, but this year I used a combination of dried apricots, raisins, pineapple, dates, figs, cranberry and even a fresh pear! Fresh grated ginger, cloves, anise, cinnamon, allspice and cardamom spice up this fruit cake to exotic proportions! 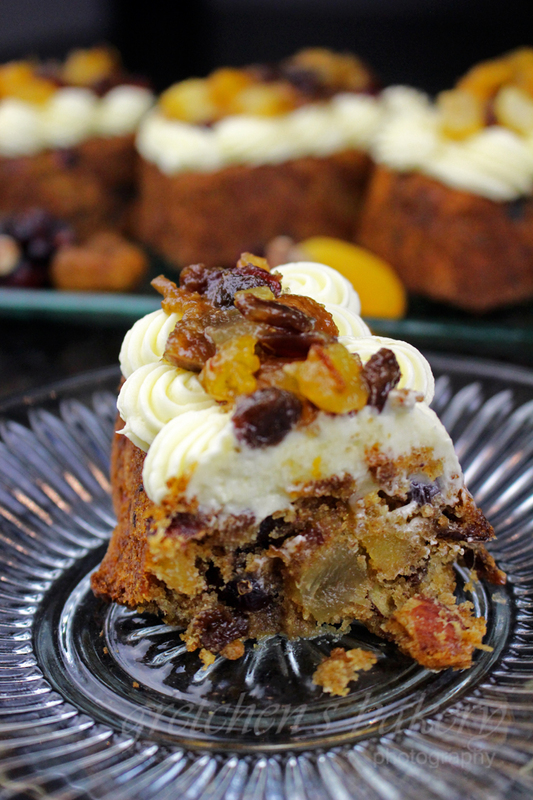 If you have never tried a fruitcake recipe before I urge you to start with this one, someone else’s recipe just may turn you off and I would hate for that to happen since fruitcake is really very delicious and a Christmastime specialty! The hardest part about the whole thing is chopping up those fruits to tiny pieces, but otherwise this is a one bowl mix- NO MIXER REQUIRED! And boy do I love those kinds of recipes! Yes there is rum in the recipe, but the alcohol gets cooked off in the first stage and then it gets baked, so you can be sure there is no residual alcohol in the final cake. But of course I know many of you are alcohol free no matter what so you can substitute in apple juice for the rum portion, but it will be missing that signature flavor that a fruitcake is known for. I will also be brushing my final cakes with more rum, and again this is optional so if you are using the apple juice sub, just brush them with more apple juice, OR take it to another level and infuse that apple juice in a small pot on the stove with some additional spices like cinnamon sticks, anise pods, cloves etc! I am using a mini loaf pan for individual servings, but this whole recipe can go into 1 standard loaf too. The mini loaf pan I linked above seems to be different than the one I have, mine only has 6 cavities, but either way you will fill the batter almost to the top of the loaf pan no matter what pan size you use. And last but not least I am also icing mine with buttercream! This is also optional but believe me it really makes this fruitcake extra special and I’ve even made some extra fruit compote (basically the recipe for the macerated fruits cooked with the rum and butter!) 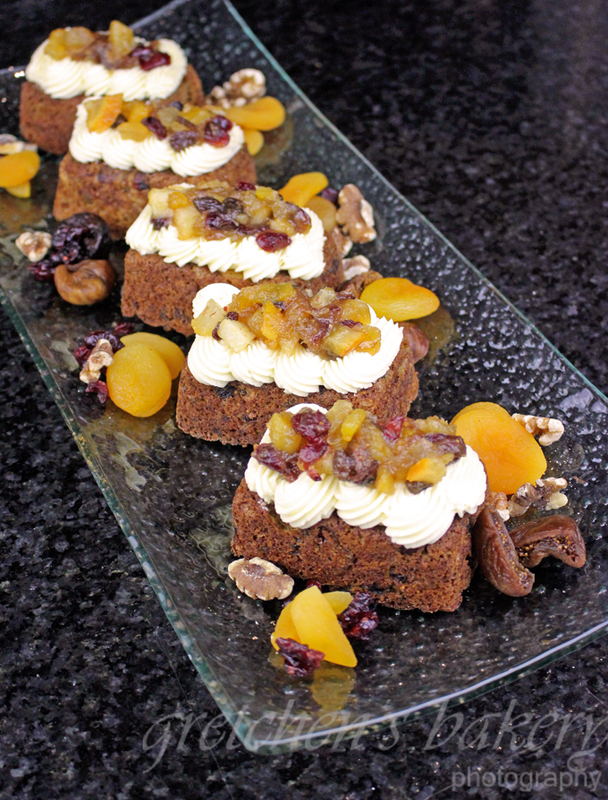 to go on top for a really impressive individual dessert that is just such a special way to give a fruitcake this year! 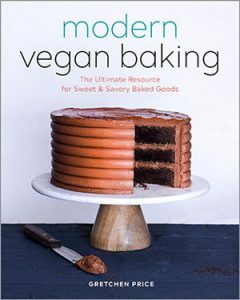 The Plant Based Egg by Freely Vegan is my egg replacer of choice for 95% of all my desserts now, If you do not want to buy it or cannot get it, you can sub in another proprietary blend egg replacer of your choice but results may vary. Place the star anise pods and the whole cloves in a small pouch of cheesecloth so you can easily fish it out of the mixture later. Chop the nuts to same size, but reserve aside for last. In a large saucepot combine the macerated fruits, the zest, grated ginger, spices, sugar, applesauce and vegan butter and bring to a boil. Reduce heat and simmer for 10 minutes on low heat. Let it cool for about 15 minutes, remove the sack of whole spices (anise pods and cloves) and discard then add the nuts and the sifted flour, egg replacer, baking soda and powder . Pour the batter into a greased 9" x 5" loaf pan or if you are using the mini loaf pan like me, you will only get 6, be sure to fill the batter almost to the top (about ¾ full) for whatever size [an you are using. Bake in a preheated 375°F oven for 10 minutes, then reduce heat to 350°F for another 10 minutes for the MINI LOAFS for a total bake time of 20 minutes. The large standard loaf will take 30-35 minutes total bake time. Cook in the pan until you can touch the pan without burning yourself and flip out onto a wire rack to cool the rest of the way. Or ice with buttercream and additional fruit compote and store at room temperature for up to 1 day or in the refrigerator for up to 1 week wrapped so they won't dry out. I will try your recipe for this Christmas. Can i get a substitute for egg replacer? This is a truly delicious cake, about to make my second batch, I am going to use candied clementine in my fruit mix. As a liquid will again use my brandy from my aged rumtopf, will cut down on the sugar content. Can you pls. give measurements of flour and butter in grms. And can I skip applesauce ?